This 900+ Shirley & Elmer Pierce Coin Collection will be sold without reserve. Shirley & Elmer Pierce coin collection to be sold without reserve October 31st, 2015. Shirley & Elmer Pierce collected coins for over 65 years. He specialized in half cents and currency from Lancaster County and was well respected in the world of coins. There are hundreds of notes from Lancaster as well as hundreds of half cents with many varieties. Over 150 gold coins in pristine condition. Over 2,000 silver dollars. There are hundreds of rare coins including a $10 1799 gold coin XF, 1909 S VDB cent MS 64 by NGC, $3 gold piece, 1793 half cent, silver dollar rolls 1794 large cent XF+, 1807 bust quarter, 1895 Barber dime AU+, 1820 capped bust quarter, 1877 Indian cent, 1893 S silver dollar, 1955 double die cent. Thousands of coins of every denomination. All of the key date and semi-key date coins are represented. 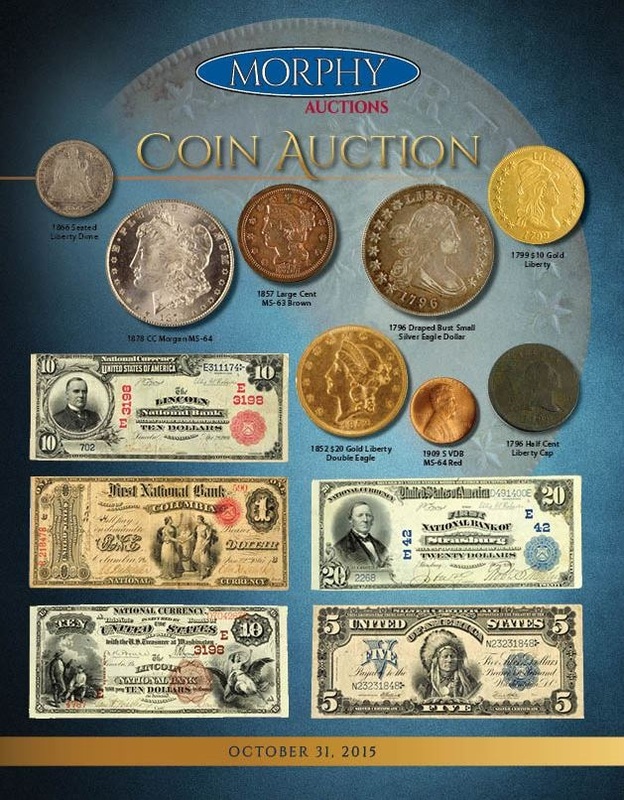 Every denomination is represented and large lots of fine coins as well as foreign coins, with very early English, Canadian, Swiss, French, German, and other countries. These coins were hand-picked by Shirley & Elmer Pierce and are a dream come true for collectors.